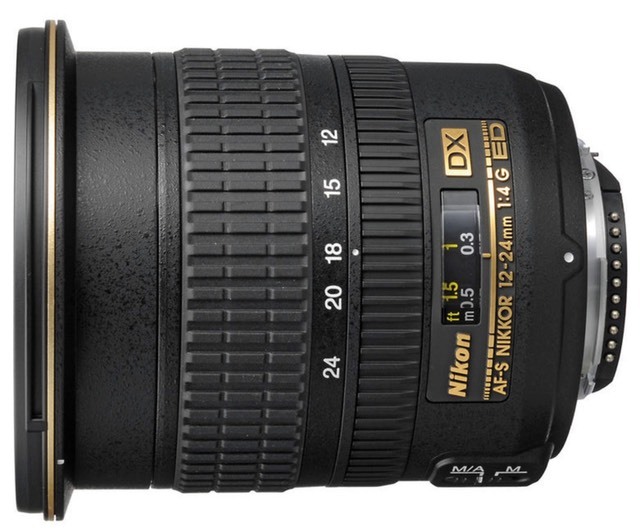 Thom's Mini Review: The first of the wide angle DX zooms and still a decent contender. It's not perfect, but it also doesn't have any major flaws, either. This was my goto lens for many years, replaced by the 10-24mm in my DX kit mostly because I like going as wide as possible, not because I was dissatisfied with the 12-24mm. It pulls a bit of double duty for those moving to FX, as well, since it does a good job of covering the FX frame from 18mm and higher. On the 20/24mp DX bodies, this lens is starting to show its age a bit, though.